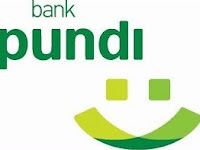 PT Bank Pundi Indonesia Tbk as an emerging financial institutions with a network covering all of Indonesia invited the Office of the Son-Daughter best to realize the dream of the nation to join us in a partnership. Funding implement appropriate sales target. Create and maintain Relationship with customers. Leading the Funding Officer (FO) to achieve the target of third-party funds. Ensure the sales process in accordance with procedures. Monitoring targets Funding and Monitoring products every FO underneath. Evaluate and establish sales plans. Handle and provide solutions to customer complaints.